Kolby Hosp tees off near the end of his round. He finished 8th overall. 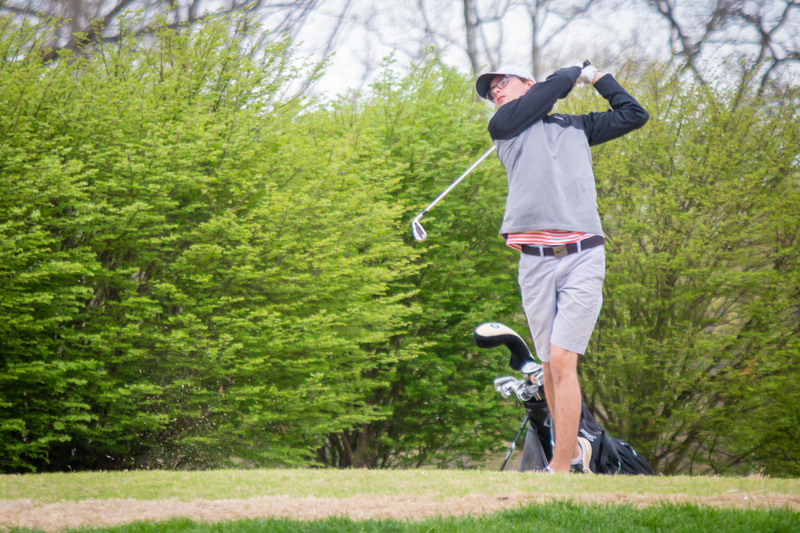 The Republic golf team posted its best result of the young season at Fremont Hills Thursday, finishing fourth out of 18 schools. Kolby Hosp was the top scorer for the Tigers, finishing with an 81 despite windy conditions that became increasingly difficult as they day wore on. Hosp shot a 40 on the front nine and 41 on the back nine. Tyson Young shot an 85, Griffin Frey an 86, and Kendall Hamilton an 88. Auston O’Hara finished at 101.